Whitehawk Ranch is a planned development which provides for 455 units on approximately 956 acres. Located in the southern section of the Mohawk Valley, the founders have adhered to rigid environmental guidelines, and the highest design and quality standards. The Golf Club at Whitehawk Ranch won the prestigious Golf Writers Association Environmental Award in 1997 and has been rated #11 in the state by Golf Digest Magazine in 2007 and 2008. The ranch is also home to The Lodge at Whitehawk which features a gourmet restaurant and luxurious cabins. No wonder quests return to be pampered in style on an annual basis. Other recreational amenities are offered to their residents and guests, including the community pool, tennis courts, exercise facility, community meeting rooms with commercial kitchen, big screen TV and more. 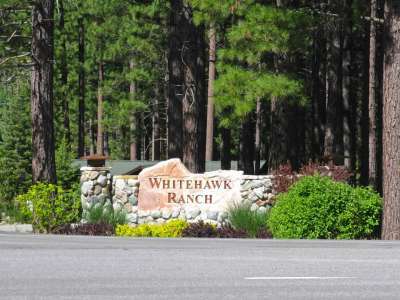 Whitehawk Ranch is maintained and operates through the Homeowner’s Association as well as the Whitehawk Commmunity Services District (CSD). You can visit this website to obtain more information regarding fees, duties, etc.